SITUATION: Governments hold onto and nurse psychiatry and the mental health movement. Vital tech of Scientology not used by governments yet. 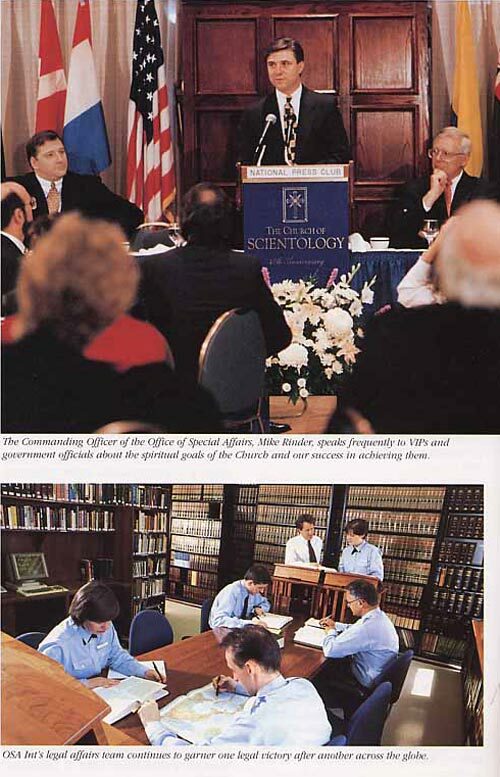 IDEAL SCENE: Scientology has replaced psychs in all government zones. 1. Continue to attack psychs everywhere. 2. Survey what governments want and also think they are getting from psychs and what governments don’t like about psychs. 3. Compose and deliver campaign to inform governments properly as per sample (unsurveyed) brochure attached. Note it does not mention religion. What we really can do in each zone of government interest should be stated calmly like business service card style. But a nice brochure. Caution: Needs survey. 4. Do a leaflet that covers each point of the brochure so as to answer queries about that service. Use STATS. 5. Train up new PR contact people on Big League Sales Closing Techniques AND USE THE TECHNIQUES TO SELL NOT COURSES BUT AGREEMENT THAT SCIENTOLOGY IS NEEDED. Use Big League to get agreement (not agreements), or some favor. The thing sold is the idea of Scientology. The exchange is acceptability (not money). Make THEM reach to orgs. PATRIOTISM—Removal of the causes of revolt and dissatisfaction. The message is, they don’t need the stigma of the unpopular psychiatrist when they can have the services of a popular subject that does the job. They don’t need to buy the hope or promises of psychiatry as we have already resolved their field and are delivering real mental health daily. SITUATION: Thomas S. Szasz, MD, has in his books written the startling truth about institutional psychiatry and the MD. A. Abolish (don’t reform) INSTITUTIONAL PSYCHIATRY and its MENTAL HEALTH front group. (See pgs XXIV & XXV and 25 of Manufacture of Madness). As the US situation is the AMA and mental health group, and the UK situation the WFMH and mental health group, and as all the other countries in Europe are mental health, as is South Africa and Rhodesia (uncertain in ANZO but certainly Psychiatric and British Psychological Assn), Szasz’s targets are those who have been striking at us. Thus we must popularize Szasz and get him around. WHY: A powerful authoritative source speaking convincingly against these groups can greatly damage them if publicized. He is not publicized. MAJOR PURPOSE: To abolish institutional psychiatry and debar MDs from handling mental illness. MAJOR TARGET: To popularize Szasz internationally. B. Furnish with an appropriate mail address and office where interviews can occur. Incorporate in Delaware and qualify in UK. C. Cram the staff on Effective PR, the PR Series and the Target Series. Use word clearing. D. Have them read Szasz’s books, particularly The Manufacture of Madness with WC M2. E. Have them work from exact programs, authorized by the Church of Scientology, on this exact campaign and major target only. 1. To do nothing that is not effective. B. To do nothing outside the scope of this program. C. To do everything to popularize Szasz. D. To be very busy and effective in executing programs. 1. Contact Dr. Szasz and inform him of the various Human Rights Commissions and that LRH is very impressed with his books and that a London Central Human Rights office is being set up and wants to recommend his books to politicians and heads of state and get his books into libraries. Do what you can to secure the doctor’s mild cooperation without opposition to use of his books. With this done, also suggest the office might occasionally arrange a TV show or interview for him. He is not to be told that the campaign is so heavily centered on him as he might feel it beyond his strength and we do not intend to tax him or involve him in any big disputes. Get a letter okaying the International HR Comm to publicize his books without cost to him. B. Contact all publishers of Szasz’s works (Harper and Row, publishers, N.Y., Evanston and London did Manufacture of Madness) and tell them you wish distributor discounts on all his books. This is in order to procure copies to present to reviewers, libraries and statesmen. C. Collect names for an advisory board from human rights people and friendly psychiatrists who are hostile. Use “The Church of Scientology recommended you to us” unless a survey results in a better answer. D. Reprint letterhead with advisory board. G. Collect a file of atrocity stories from many newspaper morgues. H. Publish a photolithoed collection under INSTITUTIONAL PSYCHIATRY AT WORK. I. Get a list of branch chapters of NATS over the world. Spot the towns. J. 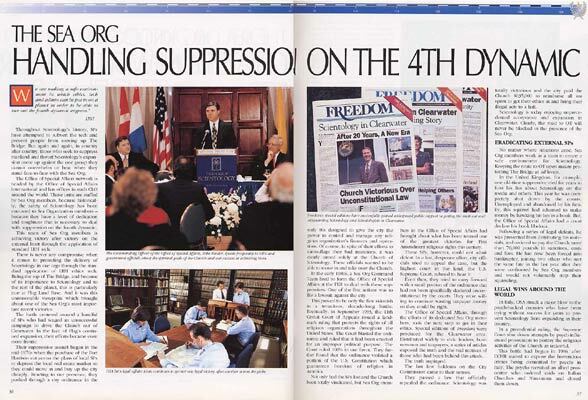 Send a copy of one of Szasz’s books to the public library as a donation copy. K. Collect a list of NATS newspaper contacts. Send each one a copy of a Szasz’s book “for review,” with no letterhead. N. Work out some hard news stunts to get the ICHR attacked violently with the attackers fully identifiable. O. Arrange any TV meeting possible with or without Szasz. P. Run a campaign “Why 20 years?” backing up the persons saying institutions will be gone in 20 years. Q. 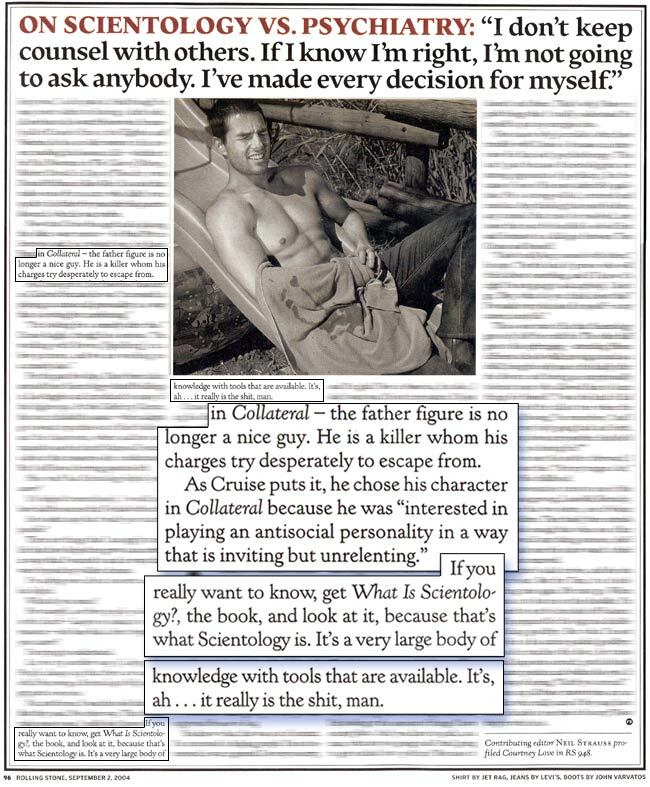 Work out hard news projects to push home Szasz’s criticism and execute them. R. Work out a project to look up witchcraft laws and demand they be considered to apply to institutional psychiatry. TV interviews. Sponsored legislation. S. Reveal the plot by institutional psychiatry to kill all “incompetents” in Rhodesia, meaning the blacks. 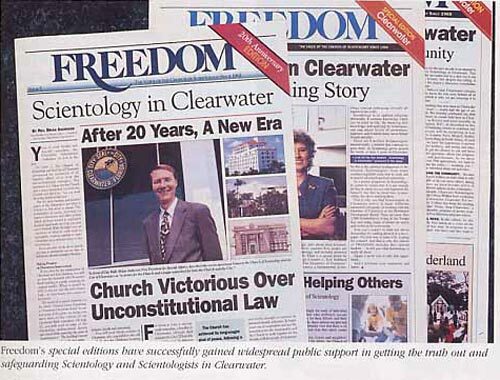 Use the proposal the anti-Scientology psychiatry there sent to Smith. T. Connect institutional psychiatry to Germany in a revealing TV interview. U. Demand all killed mental patients be given a proper Christian burial, especially in SA. W. Collect NATS false stats and expose and publicize that institutional psychiatry says people are insane just to increase appropriations and that they are assisted and paid by members. Y. Continue to push and get reviewed Szasz’s books. AA. Arrange a debate wherever possible making psychiatric supporters defend their tenets. AB. Consult Szasz for any ideas he has to push his books. AC. Organize funds drives (like NATS) to help free the poor who have been seized and put away just because they are old and poor. The exact reverse of NATS fund raising but the exact pattern. AD. Organize your chapters as surveillance groups where human rights violations are collected to HQ and reported and where the chapter keeps careful check that the old and poor are not whisked off and destroyed in secret as “insane” by German institutional psychiatry. AE. Reveal a fully documented plot by institutional psychiatry to seize certain notables and writers. Psychiatrists are torturing sick people who could be cured if real medical means were available in institutions WHICH THEY ARE NOT. See HCOB 12 March 1969 PHYSICALLY ILL PCS AND PRE OTS. This approach can catch on. I received a report indicating that legislation to require a physical before commitment is to be urged. This is okay for publicity only. The target of the mission is more, of course, than publicity. I actually intend to force in legislation over the world that every mental home or institution must have a fully equipped clinic with a staff of actual medical doctors. A. Mental patients receive no medical care. B. Mental institutions have no medical equipment. C. Psychiatrists are only called MDs, they are not in actual fact capable of bandaging a cut finger and could not practice. D. Psychiatry has no curative or healing intentions. E. As psychiatric patients are merely medically ill this makes the above a crime of magnitude. If we can FORCE equipment and MDs into institutions they will find the patients suffering from tooth breakage and spinal damage caused by shock. This will convince them the patient was physically ill in the first place, which they were. B. Popularize and get used Dianetics by MDs. 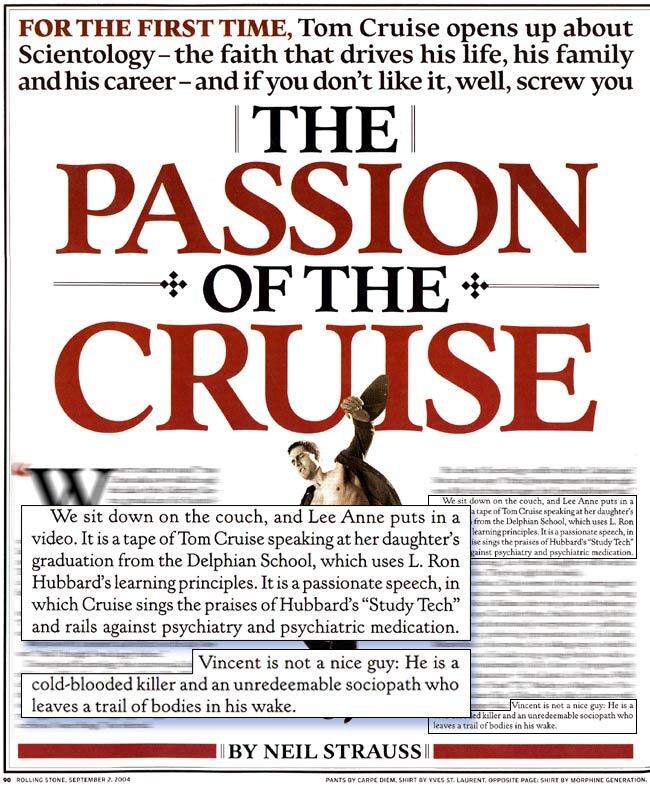 Touch Assists are not only used in Scientology orgs. Amongst MDs they can also dig that process! If we depend on “newspapers” (propaganda agencies for intelligence services) we will limit our action. Equipment firms and MDs can be spurred into action by interplaying them and using their parliamentary contacts. This can be done without press if it comes to that. The essence of any such campaign is “who can make dough out of it” to be as crude as it really is. If you hit the equipment houses and get them to hit MDs and Parliament you will actually force the condition into existence and there’s bye-bye psychiatry. Get all the publicity you can and I am sure you will. But shove that mission into action to attain the factual accomplishment of all institutions with total MDs + Dianetics and that finishes psychiatry. Press, as you know, is a broken comm line in many instances. So this is not primarily a press mission. It’s a medical equipment house conspiracy to sell a jillion pounds worth of equipment and put real MDs into institutions. It’s for real. Put this mission into the field, to hell with press, and use it to undermine, press or no press, the whole psychiatric position. In essence it is an insurgency using finance and carrots to right the wrongs of mental health. But it’s in MEST, not press. That’s the WHOLE campaign. It’s actually a major breakthrough. Simple but actual fact. One hell of a discovery. Psychiatric claptrap about genes and ids is a lot of delusion. The people are simply ill. Medical equipment firms will back this to the limit. 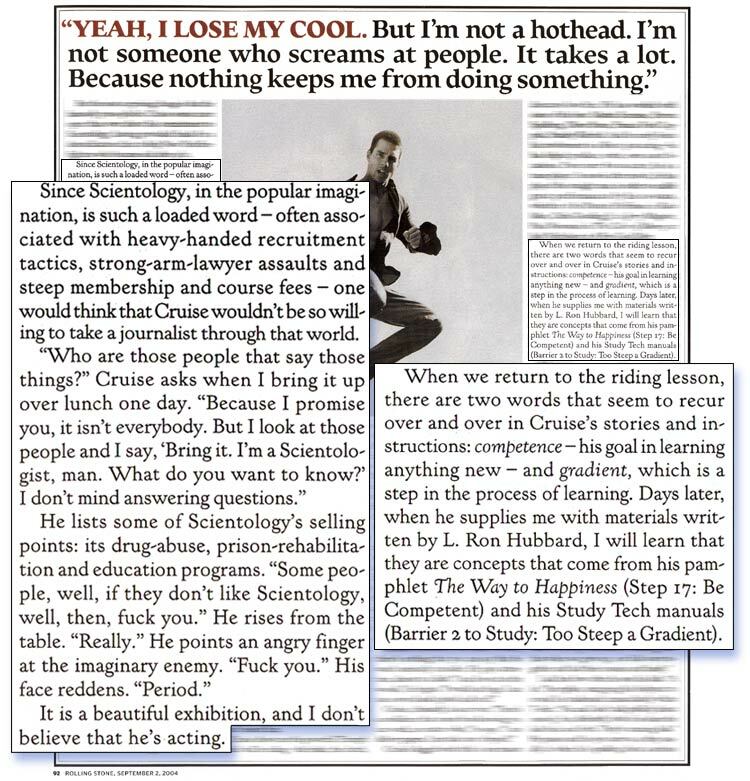 POLICY IS THAT WE ASSIGN ANY CASE OF UPSET IN SCIENTOLOGY TO PAST DAMAGE AND INTERFERENCE WITH THE PERSON BY MEDICINE OR PSYCHIATRY. THEY WERE SENT TO US AFTER MEDICINE OR PSYCHIATRY HAD ALREADY DESTROYED THEM. WE CANNOT BE BLAMED FOR PSYCHIATRIC OR MEDICAL FAILURES. We will also run this policy in The Auditor and on other channels. Psychiatry and medicine began this existing death and drug scene and it’s time somebody began to say so. It is the true reason for any failure we have ever had. All such records show it. They’re just trying to cover up their crimes by saying somebody else is to blame. All psychotics do that, especially psychiatrists. We may as well begin to publicize the correct cause for any cultural decay in both the East and West. I wouldn’t trust any of these guys with the garbage. Strangely enough little countries have maintained much greater integrity than the “leading nations.” And boy do these little countries get lied about and pushed around! This was a fairly happy planet before the coming of the psychiatrist and psychologist. In spite of any accidents or opposition, we can do our share in making it one again.